Houston Just Keeps Winning...."Golden State"
The Rockets (50-13) walk away from the Chesapeake Arena with their 16th straight win. The Rockets defeated the Oklahoma City Thunder 122-112. The Rockets are a team with serious championship aspirations. Front runner for MVP James Harden said that "this is the year" for his Rockets. 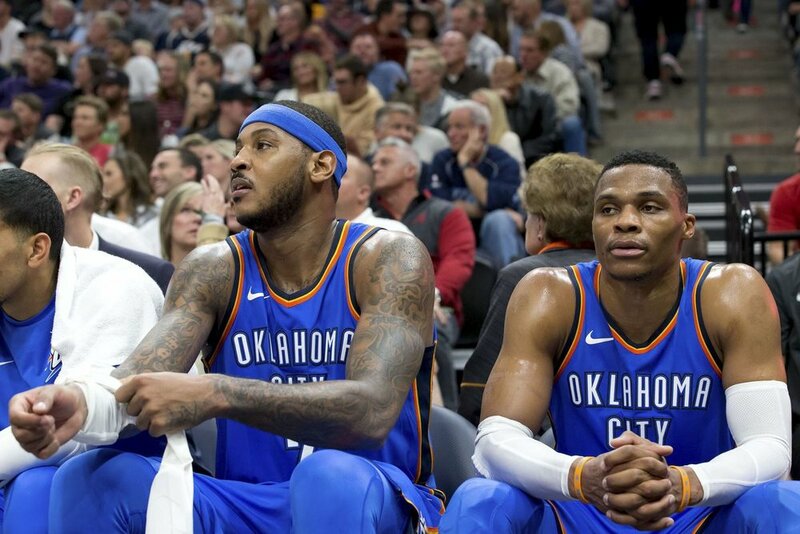 The Thunder, who now sit seventh in the Western Conference are a team that believes they can win a championship this year. They have three stars to lean on to help achieve that (Westbrook, George, and Anthony). The The Thunders Big "3" combined for 72 points. There bench was outscored by Houstons bench by 21 (39-21). Russell Westbrook led all scores with 32 points, 7 assist, but had 9 turnovers. Paul George had 17 points, and Carmelo Anthony had 23 points. The Rockets were led by Chris Paul who had 25 points, 5 assist, and 4 rebounds. James Harden had 23 points, 11 assist, and 5 rebounds. The Rockets seem to not take any days off, and they have they're sights set for June. The Thunder by their standards can't right now say the same.